Yoga teachers and instructors at Multi Style Yoga School - Yogi Sidharth (E-RYT® 500, YACEP®), Yogacharya Shashi Kant Dixit (N.D.N.Y.T, M.Sc.Yoga), Jagjeet Singh (M.A in Yoga), Yogi Ravi Bisht (M.A. in Yoga), Antonyia Ivanova. Shashi Kant Dixit was born in a traditional Brahmana family in north India and was sent to Gurukula at the age of 4 where he learnt about Vedic texts, Upanishads, Shad Darshanas, Yoga Vashishtha, Shrimad Bhagwat Geeta and great Indian classics. Inspired by his quest of learning more deeply, he settled at Bapu Ashram in Pune where he practiced Naturopathy and Yoga Science. He finished his masters under the guidance of Padma Shri H.R. Nagendra Ji from SVYASA University, Bengaluru. He has been teaching Yoga Philosophy, Yoga Therapy, Meditation, Pranayama and Shat Karma to various students across the world. 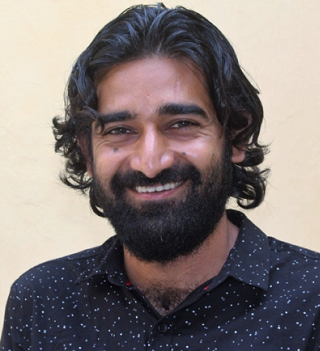 Jagjeet has in-depth knowledge and has been practicing and teaching Yoga Therapy, Marma Therapy, Alternative Therapy, Yoga Philosophy, Pranayama and Mudra Bandhas. It’s been more than 16 years now, that he has been teaching Yoga and Asanas. He grew up learning yoga vidya and ancient practices to heal people. He learnt different therapies which include Yoga and other alternative therapies while pursuing his University studies. After completion of which, Yogi Jagjeet decided to go for Sadhna in Himalayas, all by himself, for couple of years. Along his journey, he came across ancient yogis and sadhus of Himalayas who taught him various sadhna techniques. To spread and share his bundle of knowledge and information with people to serve mankind, he believes in the theory of helping by healing others. 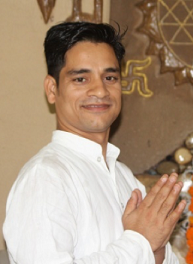 Ravi Bisht is a classical hatha yoga teacher with expertise in Iyengar style. 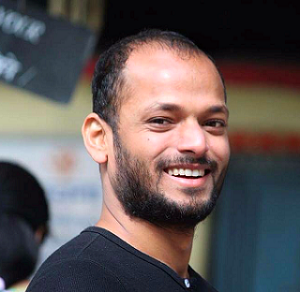 His yogic journey started 15 years back after completing his Masters in Yoga from Uttarakhand University (Rishikesh). 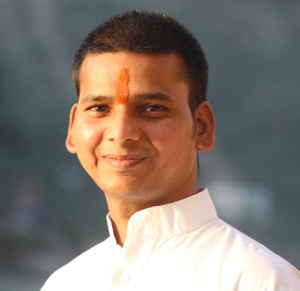 With a intention of spreading yoga as a tool for overall well being, Ravi Bisht, the most well known and experienced classical Hatha yoga teacher in Rishikesh where he was born and brought up, he gave all his heart and soul to get to the roots of yoga physically, mentally and spiritually. Being more than a decade in his teaching experience in India & abroad, he inculcates qualities of humbleness and gratitude towards all his teachers who helped him achieve this place in his personal Yogic Journey. Timea Vitez was born in the Hungarian capital of Budapest in 1975, and has grown professionally in Rishikesh in India where for over 20 years she has returned regularly to attend a vast selection of courses on the infinite subject of Yoga. Her main objective is always to strive for self improvement and growth in order to pass on her knowledge to her students. Timea has already accumulated more than 15 years of experience working and collaborating as an instructor to new yoga teachers, at major schools in the Yogic capital of Rishikesh and in other parts of the world. In 2013 in Italy she co-founded the Yogamea school of yoga, an Italian school that is firmly based on Indian tradition and characteristics that specializes in the training of aspiring Yoga instructors. Timea is particularly loved by her students for her careful and comprehensive preparation regarding all parts of her classes and the personal attention that she demonstrates towards each individual student both in and out of her Asana classes. Antonia (Amrita Antar) has a Bachelor’s in Biotechnology from UCTM-Sofia and a Master’s as well. 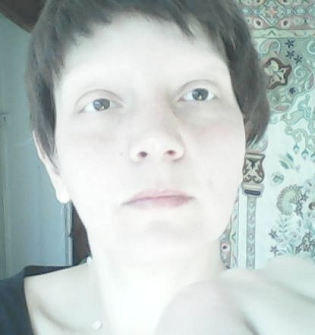 She also has a diploma in work developed in LMI- Berlin. Antonyia has practiced and studied different meditation techniques from a very young age. She participates in intensive courses in Rishikesh, India, where she studies Ashtanga, Hatha yoga, bandha, mudra, kriya, and yoga meditations from differed Indian masters and also teaches these to others. 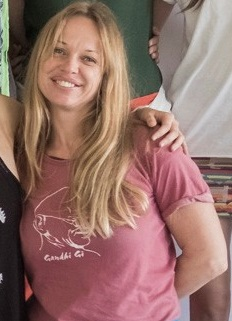 She takes classes in Hatha Yoga, Ashtanga and Sivananda Yoga with emphasis on stress relief techniques. She also specializes in Himalayan Reiki, pranayama, bandha, mantra chanting and different meditation techniques- Kriya yoga, dance meditations, and yoga philosophy. Her aim in teaching all these yoga practices is to transmit the true essence of yoga to develop inner strength, physical health, mental balance, and spiritual benefit.